Madelgaire is a progressive rock band from Belgium. 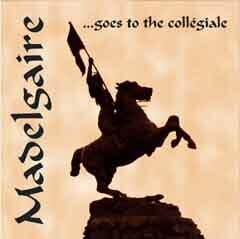 If you want more information concerning Madelgaire, visit the french part of the Website. Enjoy visiting our WebSite! If you want to contact us, please send a mail.